We can easily automate so many things in our lives these days.There are many things that can help you automate that are genuinely great time-savers. But sometimes we forgo some of our most simple day to day tasks and it’s difficult to decide which automation tips are worth implementing for them. Today, you work longer hours. Your work life oozes into your home life. A better way to manage your time is arguably more important now than ever before. Here are some things you can automate to save time. Get started with these apps, plugins, extensions that help to set it up. As is the case with text messages, it can be handy to schedule emails to send at a specific time in the future. There are a few options to help with this. Zapier is an online app that automatically sends weekly emails through Gmail. The message could include a link to dynamic content that changes every week, or it could include a reply address that automatically captures return data. Similarly, Email Scheduler for Gmail lets you schedule Gmail messages using help from a Google Spreadsheet. The Chrome browser add-on lets you schedule both one-time emails and recurring messages. 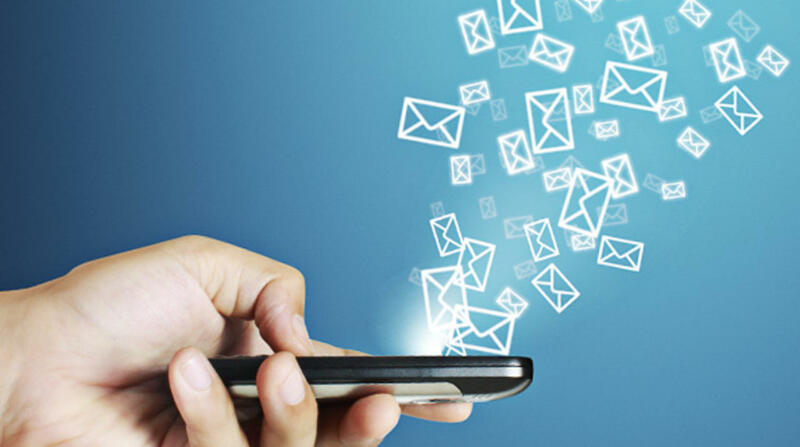 Automating your outgoing emails is nice, but what about your incoming messages? Sometimes it’s nice to put incoming messages on hold, particularly if you have an important task you need to give your undivided attention. Inbox Pause adds a pause button to Gmail, which stops messages from arriving in your inbox until you’re ready. The service includes a feature that notifies senders their message won’t immediately appear in your inbox. Also for Gmail users, the Inbox When Ready is an add-on for Chrome that hides your inbox. It lets you set up how many times each day you want messages to appear in your inbox. This helps you manage your email time and get other things done throughout the day. You think about texting someone on their birthday a few days ahead of time. But you know deep down there’s a chance you may forget when the actual day rolls around. For situations like this, there are apps to schedule messages ahead of time so you’ll never forget. Scheduled for iOS is one such app. The app allows you to schedule messages on iMessage, Facebook Messenger, WhatsApp, Telegram, and Twitter, and traditional SMS messages. It also has some handy features, such as the ability to import birthdays from your contacts list or Facebook friends. Schedule SMS is a similar app for Android, an open-source text scheduling app that’s available in seven languages. The app notifies you when scheduled messages are sent, and it can save sent messages to your SMS app. An avid twitter user are you ? sometimes there are also instances when you want to plan your tweets ahead. You may want to stagger multiple tweets throughout the day, schedule a holiday-specific tweet for next week, or set up recurring birthday tweets to friends or colleagues. You can do all of this using TweetDeck, an app now owned by Twitter. The service allows you to sign in to multiple Twitter accounts simultaneously and schedule multiple tweets from each. Hootsuite offers similar features with has one major advantage: it also connects to other social networks, including Facebook, Instagram, LinkedIn, Google Plus, and YouTube. There are several for-pay options, but the limited free plan allows a single user to sign into three profiles and basic scheduling features. Local delivery services are nothing new, but you may not know you can use them to have common items delivered automatically. For example, Amazon’s Subscribe & Save service allows you to choose from thousands of products and select your delivery frequency. You will receive a reminder email before each delivery, and you can skip deliveries if you don’t need one that day or week. There are many other services across the country that deliver groceries and other items from supermarkets, although many of them are local or regional. Also, there are several apps that allow you to save ingredients directly from the recipes you plan to use this week. AnyList is an iOS app that lets you collect and organize recipes, as well as add ingredients directly from recipes to your shopping list. Better yet, you can share your shopping list with other people in your household. Whoever goes to the store next has access to all the ingredients your refrigerator needs. Automation continues to grow, and it’s not only gimmicks that showcase the capabilities of new technology. Any tech that can shave a few minutes off a monotonous or repetitive task will be happily adopted by busy people the world over. There are many things you can automate now — including all of those listed here — that will save you time and allow you to focus on other things. Or, you know, just not get yourself in hot water because you forgot your great aunt’s birthday.